Simcenter Conference – Americas: IDS is ready! IDS Ingegneria Dei Sistemi S.p.A will be at the 2018 Simcenter Conference – Americas from 15th to 17th October, in Crowne Plaza Detroit Downtown Riverfront 2 Washington Blvd. Detroit Michigan. 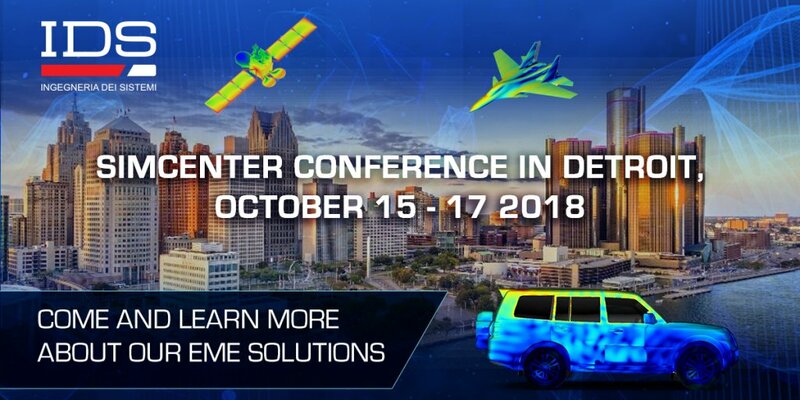 The Simcenter Conference is a three-day event that contains over 100 presentations bringing together subject matter experts on simulation, test and design while exploringan industry themed agenda. . Together we will explore how simulation and test are contributing to the realization of the Digital Twin, and examine how adopting a holistic approach to predictive engineering analytics is essential in developing innovative products that exceed customer expectations.